Vermouth is one of the first 5 bottles you should buy for your home bar because it’s used in classic cocktails like the Martini and the Manhattan. Most people, however, have no idea what vermouth is, or that some vermouth tastes much better than others. Vermouth is a fortified, aromitized wine. Vermouth is wine (red or white) that’s fortified through the addition of hard liquor (usually brandy). Other familiar fortified wines include Port, Sherry, and Madeira. Because they’re fortified, all of these wines are both higher in alcohol content and more “shelf stable” than regular wine – lasting several weeks before they need to be replaced. Vermouth is unique from these other fortified wines, though, because it’s also aromatized with herbs, spices, tree bark, seeds, and sometimes more. Due to the complexity of vermouth, every element in the bottle affects the taste of the final product. The type of wine, the quality of the brandy fortifying it, and all of the aromatics contribute to the flavor, and the taste can vary greatly as a result. A vermouth can taste sweet, bitter, dry, herbal, cheap, syrupy – it can take on just about any flavor profile that you can imagine. Put simply, a better vermouth tastes better, and if you’ve ever shuddered at the taste of a $5 bottle of vermouth, then try something like Carpano Antica Formula, which will run you more like $30. When you taste them straight or maybe on the rocks like pictured above, the quality difference is very clear. That being said, though, I regularly buy Noilly Prat or Martini & Rossi vermouth, both tried-and-true and just under $10 a bottle. More important than the brand, though, is the type of vermouth you buy: sweet or dry. 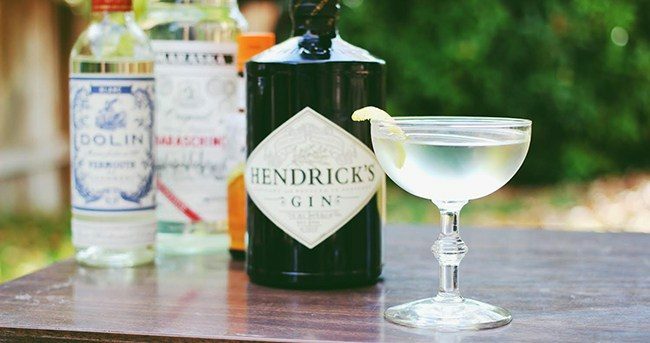 Usually, sweet vermouth is red and dry is white, but occasionally you’ll get a curveball, like Vya Whisper Dry, a slightly sweet (but still dry) white vermouth, or Dolin Blanc, a sweet white vermouth (used in the White Martinez recipe, shown below). Unfortunately, the color of the vermouth is not necessarily going to make it easy to differentiate which style you’re buying. As I’ve noted, a white vermouth can be sweet or dry, a red can be syrupy sweet or quite bitter. 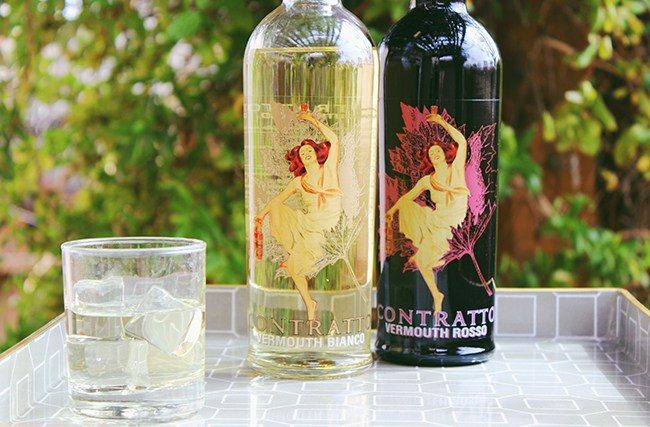 Often, the type of vermouth may be printed in Italian or French, so be aware when making that first vermouth purchase. Here is a brief guide to vermouth names, though a better option may be to ask a helpful local liquor store employee for help. Other than the typical dry-white and sweet-red, you might also see: rosso (Italian for red), vermouth amaro (a bitter vermouth, like Punt e Mes), bianco (sweet white), blanc (sweet white), extra dry, rouge (a paler red), rosé (a pink vermouth, think White Zinfandel), or ambre (a copper/orange colored vermouth). 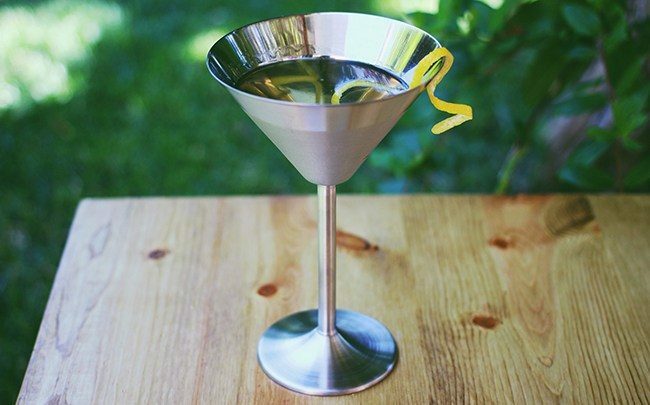 As you look at cocktail recipes, pay attention in the cocktail recipe as to which type of vermouth you need – I’ll always specify sweet or dry here, occasionally maybe red or white, but remember that distinction is as important as whiskey or vodka in a drink. Finally, proper storage of your vermouth is very important. Always store open vermouth bottles in the refrigerator, ideally not more than 1-2 months. Unfortunately, many bars don’t heed to this rule, and their vermouth-based drinks have a bad taste as a result. Since vermouth is made with wine, it has a limited shelf life once it’s opened and will become bitter and sour when spoiled. I hope this has been a helpful series and that it’s taught you a little more about recognizing, buying, and using vermouth well in your cocktails. Let me know in the comments some of your favorite vermouth-based cocktails, and enjoy!